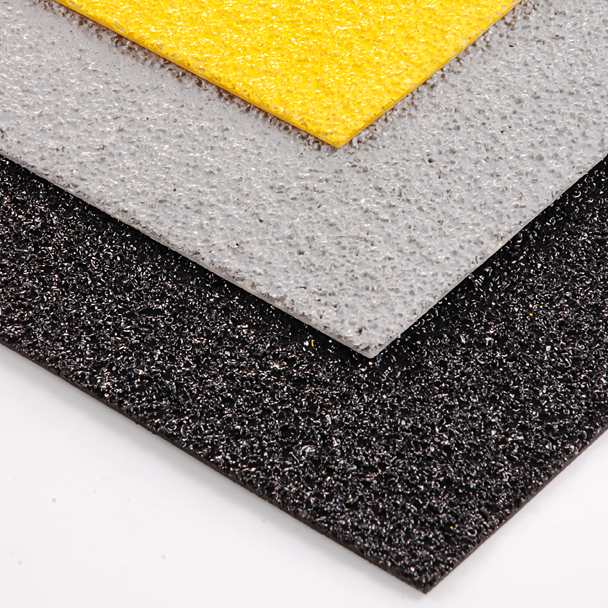 Low Profile Anti-Slip GRP Flat Sheet Flooring can be laid and fixed using a single part adhesive to bond and seal the edges. Due to the low profile, the GRP sheeting can also be laid on undulating surfaces. 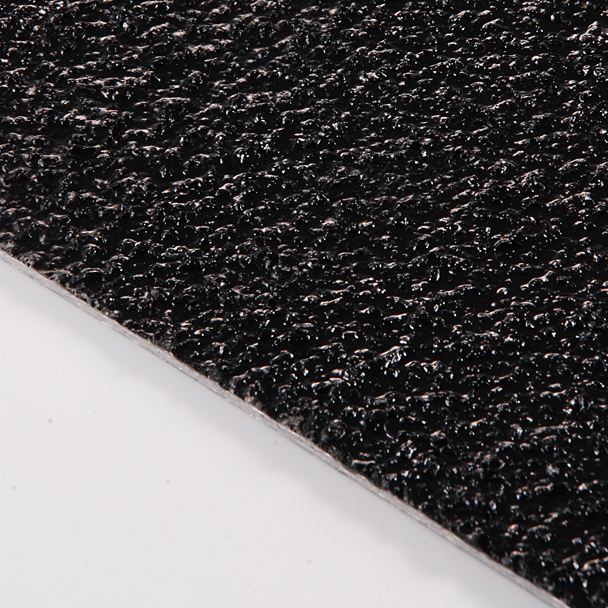 Our anti-slip surfaces are durable and long-lasting, providing high levels of slip resistance. 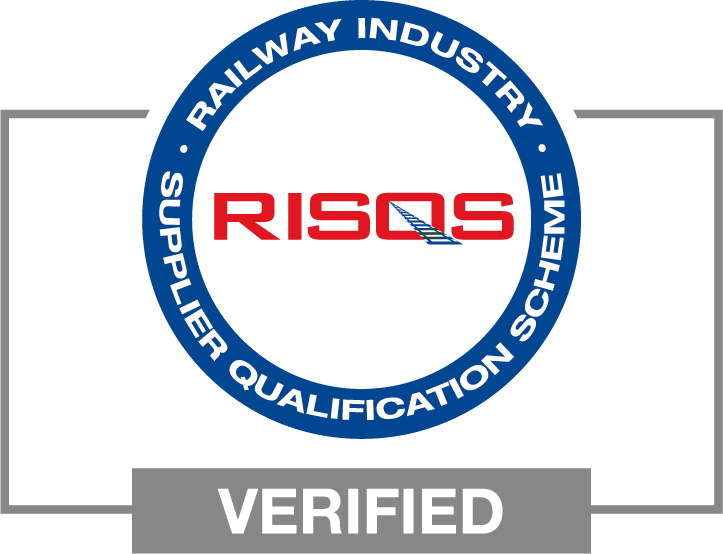 Impervious to most environmental conditions, suitable for both internal and external use in and around the workplace. Minimum order quantity may apply. Please contact us for further information. 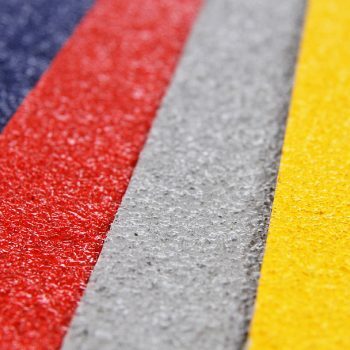 A nominally 1mm tough GRP sheet coated in a combination of premium quality aluminium oxide & resin components make up a highly effective Anti-slip product that will withstand the rigours of all industrial & commercial environments. 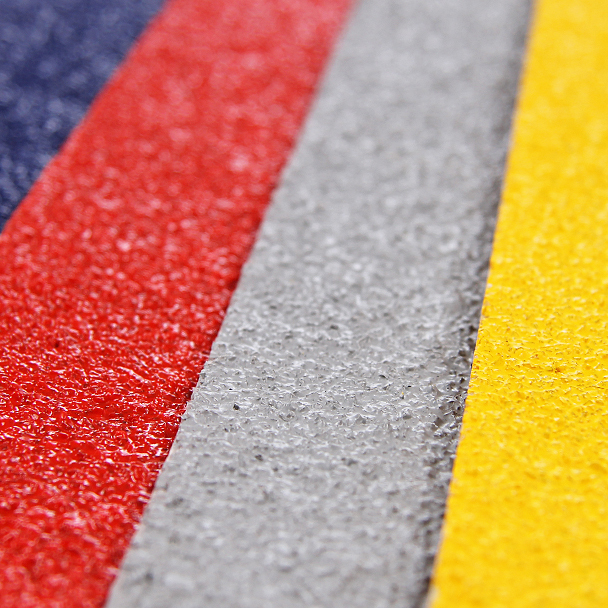 The preferred choice over tapes or paints, offering an almost permanent solution to slip hazards. Extensively used in food factories it can be laid and fixed using a single part adhesive/sealant to bond and seal the edges, preventing the ingress of moisture & microbes. The overall height of the product means that no additional trip hazard is presented, with no requirement for chamfered edges. Sheets may be cut to specification for immediate installation. 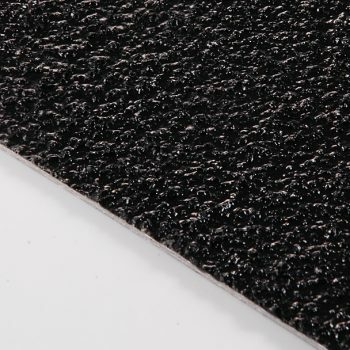 Designed to be fixed with adhesive to all substrate types in sound condition, Low Profile Anti-slip can be laid onto undulating surfaces and walkways where Standard thickness sheeting may not be suitable.